Respected, and referred, by judges and prosecutors alike, the lawyers at Ashbach Law Offices, LLC use their experience, knowledge and legal techniques to achieve great results for their clients. With a strong track record of successful case resolution, either pre-trial or at trial, Ashbach Law Offices, LLC is here to keep you out of jail, protect your record, and keep your important rights and privileges. WE FIGHT. WE WIN. WE PROTECT YOU. 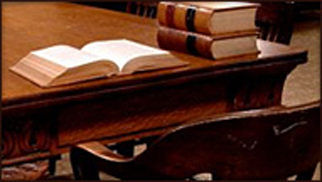 Ashbach Law Offices, LLC strives to achieve great results for its clients. Recent success includes dismissal of cases, suppression of evidence, mistrials, dismissals of speeding tickets, and reduction of charges. 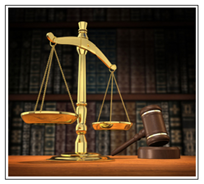 We are experienced felony and misdemeanor attorneys. Contact Ashbach Law Offices, LLC at (360) 659-4950 today to ensure you and your rights are protected. Your initial consultation is free. Ashbach Law Offices, LLC fights hard for you, protecting your future and your interests. Whether you are looking for a Snohomish County Lawyer, King County Lawyer, or Skagit County Lawyer for your criminal defense needs, you have come to the right place. Let us put out knowledge and experience to work protecting you, your family, and your rights. "Working with Mr. Ashbach brought a great sense of peace to me and to my family. I was so relieved the day in which I hired him, and appreciated not only his knowledge, but his approachable and trustworthy character, as well as his availability. Brian is very diligent and dedicated, and I would highly recommend him to anyone in need of a strong defense. " "Communication with Brian was amazing, he would always respond ASAP and would provide useful information, worked hard getting the case dismissed. Highly recommended." "Brian Ashbach represented me in my criminal case and I can’t tell you how pleased I am with the results. I had a very challenging case and was amazed when it was dismissed. Brian was very dependable and conscientious of my situation and exceeded my expectations. I would definitely recommend his services to others. " "Brian Ashbach represented me in my criminal case and I can't tell you how pleased I am with the results. I had a very challenging case and was amazed when it was dismissed. Brian was very dependable and conscientious of my situation and exceeded my expectations. I would definitely recommend his services to others." "Hiring Brian is the best thing I could do for myself. He kept me informed on everything I needed to know, acted professionally, and even got my case dismissed by one of the toughest prosecutors in the county. I will be recommending him to anyone who needs a lawyer." "Brian did a great job for us....resolved everything quickly and discretely. I would definitely hire him again and recommend him to family and friends." "Just wanted to say how much I appreciate your help in handling my DV assault charges. I feel as if a great weight has been lifted from my shoulders. I could not have done it without your help. I feel that your rates were extremely reasonable for the amount of work you put in on my case, and I will be referring you to everyone I know that may need counsel." Traffic Defense in the greater Puget Sound, Snohomish County region. Ashbach Law Offices has an aggressive defense for traffic offenses in the Everett, Marysville, Lynnwood, Mill Creek, Stanwood, and along the I-5 corridor. Property Defense in the greater Puget Sound, Snohomish County region. Ashbach Law Offices has an aggressive defense for property chrages in the Everett, Marysville, Lynnwood, Mill Creek, Stanwood, and along the I-5 corridor. Assault and Harassment Defense in the greater Puget Sound, Snohomish County region. Ashbach Law Offices has an aggressive defense for assault and harassment in the Everett, Marysville, Lynnwood, Mill Creek, Stanwood, and along the I-5 corridor. Alcohol and Drug Defense in the greater Puget Sound, Snohomish County region. Ashbach Law Offices has an aggressive defense for Alcohol and Drug charges in the Everett, Marysville, Lynnwood, Mill Creek, Stanwood, and along the I-5 corridor. Public Disturbance Defense in the greater Puget Sound, Snohomish County region. Ashbach Law Offices has an aggressive defense for Public Disturbance charges in the Everett, Marysville, Lynnwood, Mill Creek, Stanwood, and along the I-5 corridor. If you are looking for an aggressive criminal defense attorney in Everett, Washington, Lynnwood, Washington or Marysville, Washington with a track record of success, please contact us. Known for aggressive and tough techniques, Ashbach Law Offices, LLC gets results. Have more details on a case you would like to send to us? Click below. The criminal defense firm of Ashbach Law Offices, LLC aggressively defends clients throughout Western Washington, up and down the I-5 Corridor. Here are the typical counties and courts in which we practice. If you have been charged with a crime, or if you think you might be charged with a crime, call our experienced defense attorneys now. Our tough criminal defense lawyers have over 35 years of combined defense experience, integrating new techniques, strategies and research tools with a long-standing tradition of fighting hard for our clients to achieve great results. As experienced trial attorneys with our clients’ interests as top priority, we are proud of our record of winning cases and obtaining successful outcomes. Whether you are charged with a simple misdemeanor, gross misdemeanor or a felony, we know how to best protect you. Brian Ashbach is an active member of several criminal defense organizations in Washington, including the Snohomish County Bar Association, King County Bar Association, Washington Association of Criminal Defense Lawyers, Washington Trial Lawyers Association, the National College for Dui Defense and the National Association of Criminal Defense Lawyers. Ashbach is pronounced as if it was Ashback. But it is not Ashback Law Offices. If you are looking for an aggressive criminal defense attorney in Everett, Washington, Lynnwood, Washington or Marysville, Washington with a track record of success, you have come to the right place. Known for aggressive and tough techniques, Ashbach Law Offices, LLC gets results. Domestic Violence; Original offer 60 days jail; result in Disorderly Conduct, no jail. One day jail; case to be dismissed after 12 months probation.